The four-stage PSLV – flying in its XL configuration with six Solid Rocket Boosters for extra power – headed into a 48-hour countdown sequence on Monday for fueling its second and fourth stages that consume hypergolic propellants in PSLV’s unique design of alternating between liquid and solid rocket stages. 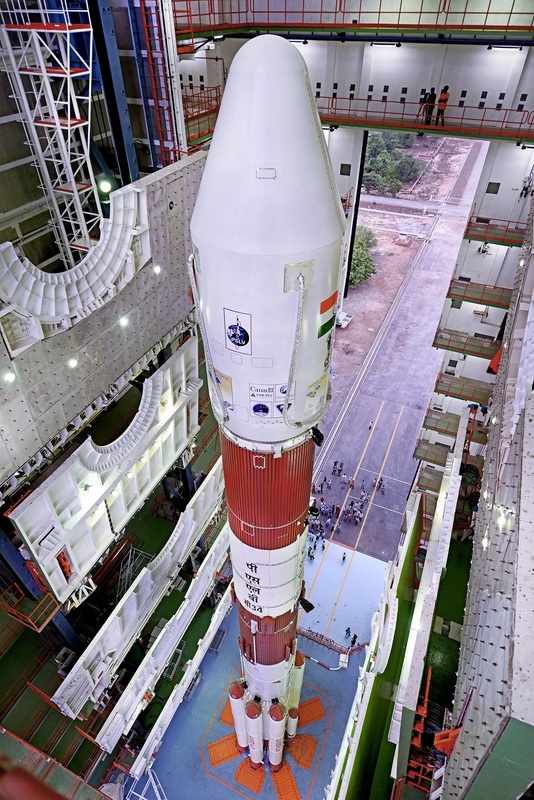 Sitting atop the 44-meter rocket are 20 satellites of different shapes and sizes, ranging from small CubeSats of less than one Kilogram to more massive Earth Observation Satellites. 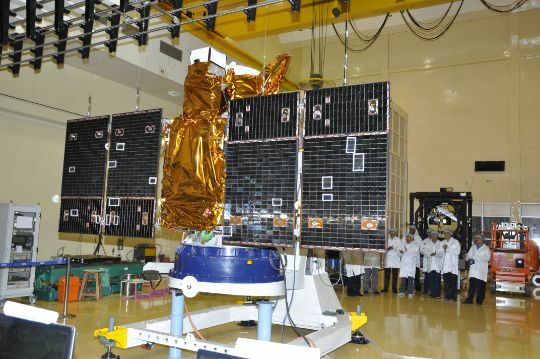 At the forefront of the payload group is the 727-Kilogram CartoSat-2C, part of India’s second generation of Earth Observation Spacecraft dedicated to environmental monitoring and cartography. 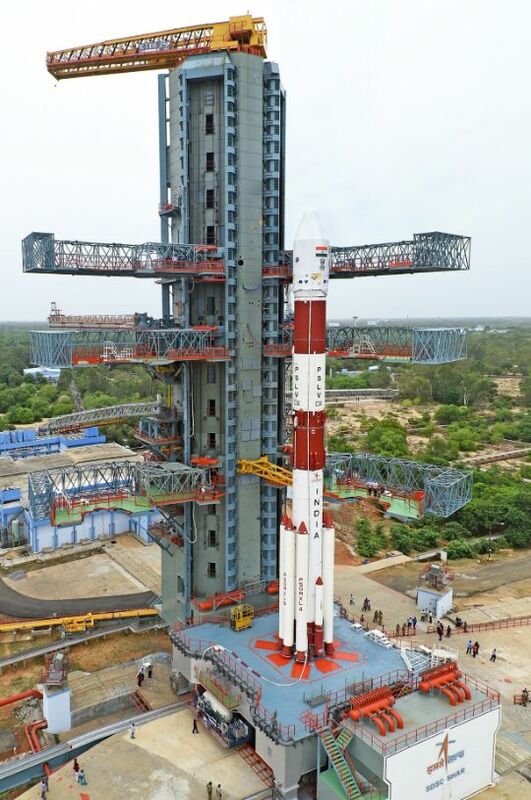 Riding as the primary payload, CartoSat-2C will be first to separate from the rocket after sixteen and a half minutes of powered flight into a 505-Kilometer orbit, inclined 97.5 degrees. The satellite will deliver high-resolution black-and-white images of the planet at a ground resolution of 65 centimeters while color imagery will be available at a two-meter resolution. 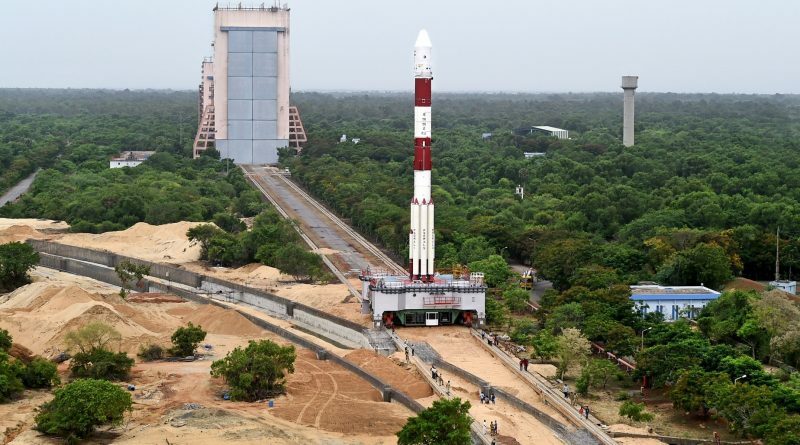 To reach a polar orbit from its launch site on India’s East Coast, PSLV has to follow a rather complex ascent path – first completing a steep climb-out to the south-east before making a powered turn toward the south-west after steering clear of the island of Sri Lanka. This maneuver, known as a dog leg, comes at the cost of launch vehicle performance but is a strict requirement due to safety concerns, keeping the launch vehicle away from any inhabited areas. Separating half a minute after CartoSat will be a pair of student-built CubeSats, SB Sat dedicated to a study of atmospheric constituents and Swayam serving as a point-to-point communications terminal in Low Earth Orbit. Next to be sent on their way 18.5 minutes after liftoff are the LAPAN-A3 Earth Observation Satellite from Indonesia and BIROS, a German fire-detection and technical demonstration satellite, both weighing in slightly over 100 Kilograms. The Canadian M3MSat ship-tracking satellite and the commercial SkySat C1 Earth imaging craft are set for release 19 minutes after lifting off. 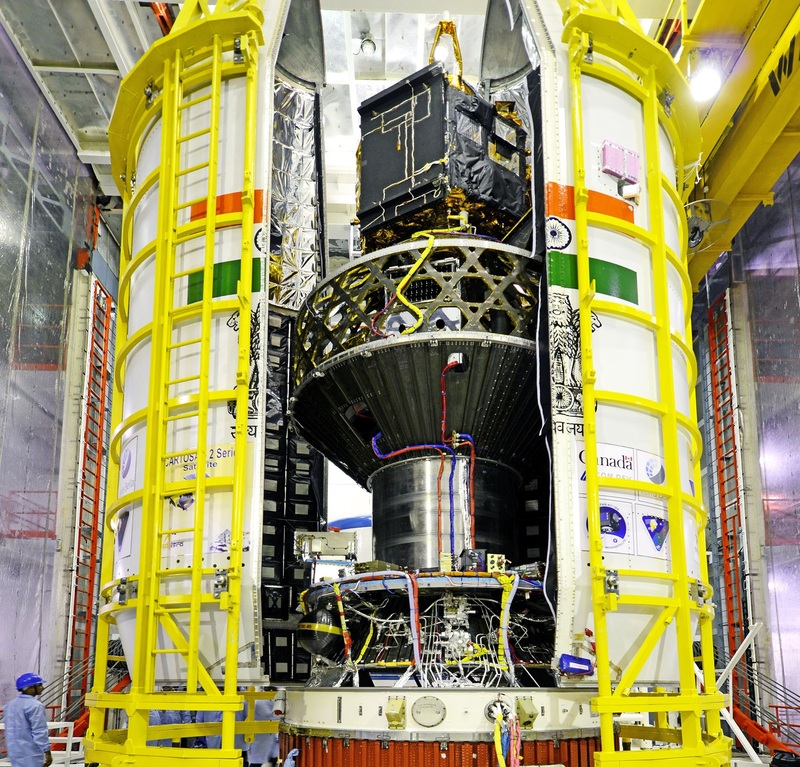 GHGSat-D, a 15-Kilogram satellite capable of detecting point sources of greenhouse gas emissions, will depart the vehicle at T+19:20. To finish its mission, the fourth stage of the PSLV will release a dozen Dove CubeSats in a seven-minute sequence, making up the Flock 2p satellite group operated as part of Planet Labs’ commercial Earth Observation architecture.